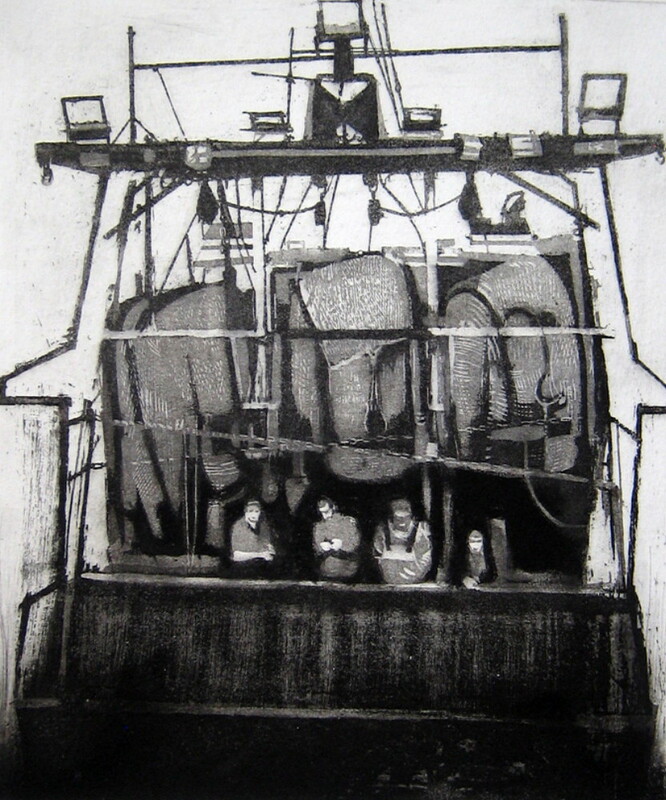 David Morris was born in Knaresborough and studied painting and printmaking at Harrogate School of Art, before continuing his studies in painting and sculpture at the Slade 1959 – 1961 where his tutor was Keith Vaughan. After graduating he began teaching part time at Bradford College of Art. In 1963 he was appointed full time at Harrogate college of Art. Many of his students have continued as practising painters and printmakers themselves. After retiring from full time teaching he continued to run an adult class in printmaking at Harrogate College until 2002. Since that time David has concentrated on his own work as a painter and printmaker. David has exhibited widely in public and private galleries in the UK including the Royal Academy Summer shows. His work has been purchased by The House of Lords for inclusion in their Woks of Art collection.